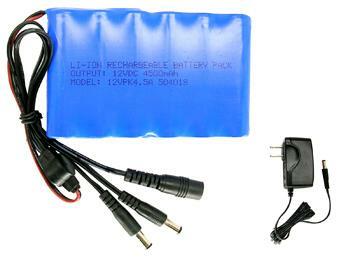 12V Li-Ion 4.5A Battery & Charger. Provides a full 4.5 amps of power, has two power outputs so you can run two devices from one battery. Great for wireless transmitters and cameras. Charger automatically stops charging when complete.